PARTTEAM & OEMKIOSKS has developed digital billboards for the Tenerife Auditorium "Adán Martín", considered the most modern building in the Canary Islands (Spain). Installed in the Auditorium of Tenerife, the NOMYU INLITE digital billboards with 48" touch screen displays and webcam, allow visitors to see the cultural agenda of the auditorium. Presenting and promoting the upcoming events and shows has thus become easier for the managers of the Tenerife Auditorium, who are able to effectively change timetables and important information in real time. Cities have been confronted with rapid population growth and the high expectations of citizens, in services, museums, companies, etc. It has become urgent to transform cities into Smart Cities. Opting for digital signage means not only creating new interactive experiences, but also engaging users in a more flexible and cost-effective way to communicate. 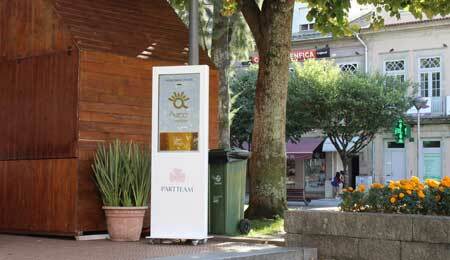 PARTTEAM & OEMKIOSKS develops digital kiosks and billboards, making the digital equipment an ideal stage for betting on a truly experimental dimension. With the help of PARTTEAM & OEMKIOSKS, companies and brands can achieve more positive results and provide more effective responses to their customers.